The Mt Rawdon open pit gold operation is located 75km south-west of Bundaberg, Queensland and is surrounded by the traditional lands of the Port Curtis Coral Coast People. Our local communities are Mt Perry, Gin Gin, Biggenden and Gayndah. 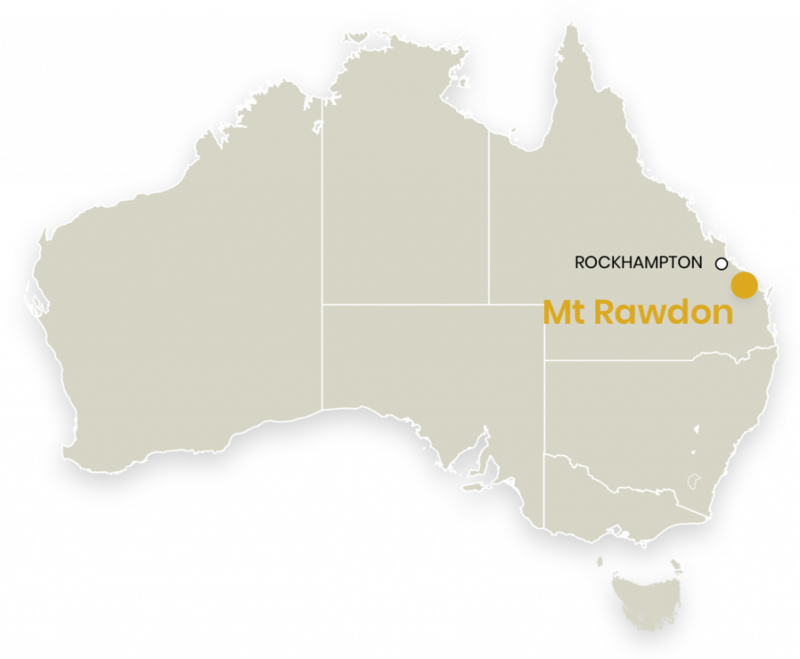 Evolution has owned and operated Mt Rawdon since November 2011. Total FY18 gold production was 105,053oz. A very strong June half year ensured production guidance of 105,000 – 115,000oz was achieved. AISC of A$884/oz was also within the guidance range of A$850 – A$900/oz. Full year net mine cash flow of A$49.7 million was a record under Evolution ownership. A significant production milestone was achieved in June 2018 with 50 tonnes of gold produced since the mine began operating. Safety at Mt Rawdon continues to be a key focus for the team. In FY18 we saw a decrease in TRIF from 6.6 to 5.1. In FY18 Mt Rawdon won the People’s Choice Award at the Queensland Mine Safety Awards for their innovative “Barrel Mate” initiative. The team also designed and built a used tyre protection wall as a bund to protect against rock falls. Improvements were made in blast efficiencies with: improved fragmentation; reduced blast delays; and reduction in downtime for blast evacuations.